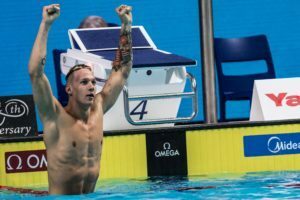 Caeleb Dressel has long been knocking on the door to be one of the top 50 freestylers in the world. 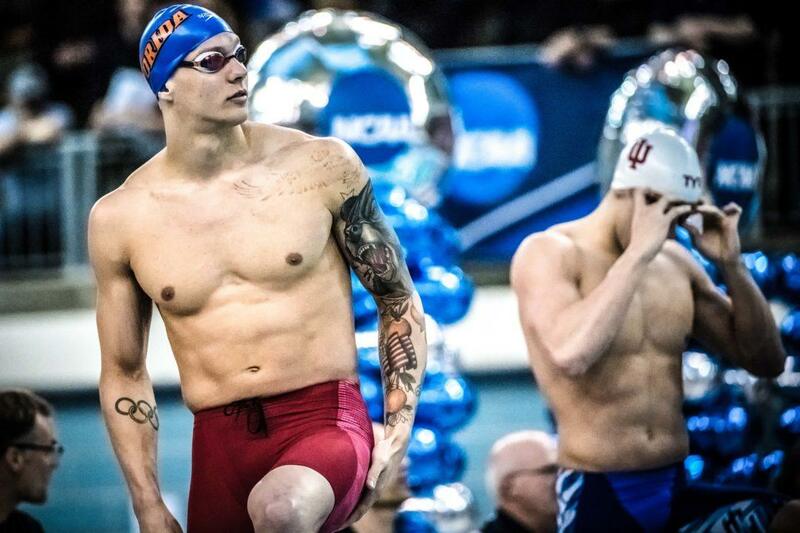 After first dipping below 22 seconds for the first time at the 2015 U.S. Nationals, posting a time (21.53) that would’ve medalled at the World Championships, he absolutely obliterated the NCAA record books (in yards) during the college season with six swims under the previous American Record. 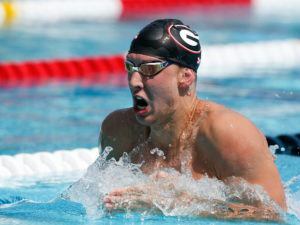 With expectations sky-high at the 2016 Olympic Trials, the now- 21-year-old was flat at the end of a long meet and failed to make the team in the 50, a race he’s said he’s had nightmares of. He didn’t drop time in the event in the following college season, but since then he’s been on fire. 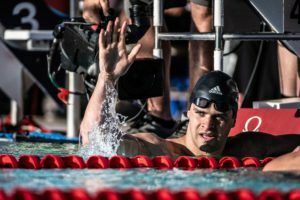 Between the 2017 World Trials and World Championships, Dressel swam five of his six fastest swims ever, culminating in a World title and a new American Record of 21.15. This was followed by a pair of earth-shattering sub-18 second swims at the 2018 NCAA Championships, winning the final by over a second. 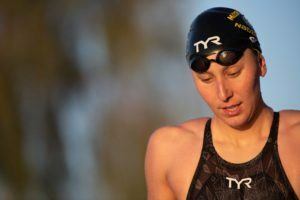 Heading into U.S. Nationals, and later on in the summer at Pan Pacs, the reigning World Champion is the clear favorite. Like we saw last year in Indianapolis, he won’t fully taper until the biggest meet of the summer comes around, but there’s no question the race in Irvine is for 2nd. Depending on team size, the Americans will likely take the top-3 from most Olympic events to Tokyo, if not 4. 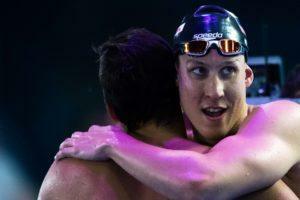 That opens the door a little for those battling behind Dressel, but they’ll still need to be on their ‘A’ game. The seemingly obvious pick to slot in at #2 is Cal’s Nathan Adrian. 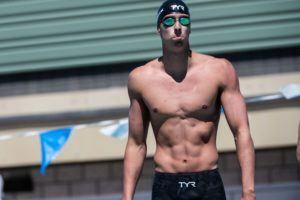 The American Record holder prior to Dressel taking it down, he was the 2015 World Championship silver medalist, 2016 Olympic bronze medalist, and was the second U.S. entrant at last summer’s World Championships. However, with an increased focus on the back half of his 100 in 2017, his 50 speed fell off and he failed to final in Budapest. With pressure brewing from some of the other’s below him, the 29-year-old is far from a shoe-in for a top-2 spot, but shouldn’t have a problem sliding into 3rd or 4th at worst. He’s already been sub-22 this year, something he failed to do without rest last season. The main threat to steal a top-2 spot from Adrian is 19-year-old Michael Andrew, who has quickly turned the 50 free into his best event (for now, but his insane versatility could change that). After a respectable 5th place finish at last summer’s Trials, Andrew swam three consecutive 21.7s to win the World Junior crown in August (faster than Adrian at Worlds). This past May he lowered his 21.75 PB down to 21.73 in-season at the Atlanta Classic, making him the #1 American for the year, and has consistently been under 22 all season. He’s dangerous, and is primed to qualify for his first major international LC team. Those are the clear top-3. Behind them, things get a little hazy. Last year the 4th fastest man in the nation was Cullen Jones, but he and fellow veteran Anthony Ervin are both wildcards coming in. The 34-year-old Jones pulled off a 21.89 in Indy to fall just .02 shy of Adrian for a spot in Budapest, but hasn’t raced nearly as much this year. He was 22.78 in mid-April, and while I do believe he still has a big performance or two left in him, he’ll need everything to go perfectly to move on to the Pan Pacs. Update: Jones did not enter the meet, and has thus been removed from the top-8 picks. Ervin, the 2016 Olympic champion, is an even bigger unknown having only been as fast as 23.85 in 2018. He got himself in the running last summer with a 22.09, but that was after getting under 23 multiple times during the year. It looks as though he may be cruising through the quad with a focus on shocking everyone once again in 2020. The rest of the major players in the event are all right around the 22-second threshold, and will need to be under by at least a tenth or two if they want a shot at making the Pan Pac team. Michael Chadwick has dipped below the barrier the last two summers, and has looked good this year sitting with the 5th fastest time among Americans (22.37). 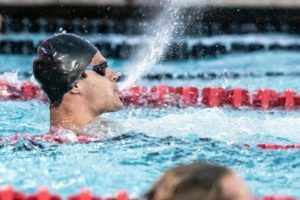 Zach Apple was 22.00 for 4th place last year in Indy and swam a PB of 18.82 at NCAAs, and while his move to Indiana has seen a shift of focus to the 100/200 rather than the 50/100, he still expressed confidence in his ability to go “21-something”. It’s also worth noting that Kirk Grand, one of his sprint coaches at Auburn, is now in Indiana as well, which likely has helped smooth the transition. Ryan Held is another guy who seems to be on the cusp of toppling past 22 seconds, having been a lifetime best 22.16 last summer at the World University Games and so consistently fast at NCAAs over the past few years. His Wolfpack Elite teammate Justin Ress has become a big threat here as well, exploding for a personal best of 22.36 in May at the Indy Pro Swim (putting him 4th in the country). A few other names to watch out for include Tennessee product Kyle Decoursey, who posted a lifetime best 22.41 this year, Cal’s Michael Jensen who’s been 22.48, and Minnesota’s Bowen Becker, who’s coming off a red hot NCAA campaign. Darkhorse: Indiana freestyler Blake Pieroni is known best for his ability in the 200, but has seen steady speed improvements in his 50 recently and could surprise and make the A-final. He cracked 19 seconds for the first time during the college season, and has already been within a tenth off his personal best (22.70) this year in long course. 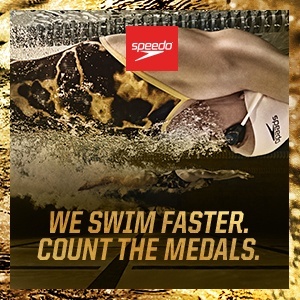 One wildcard: at nationals, the 200 IM is the same day as the 50 (and before it). 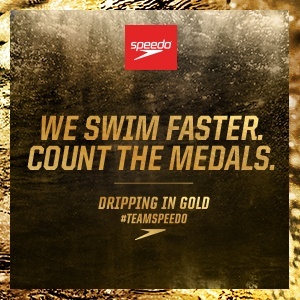 If Dressel decides to take a shot at the IM… That’s a tough double even for a swimmer as great as he is. IMO he’d still win the 50 but would add a lot of intrigue. He would have the fastest heat of the men’s 800 in between, and his triple last summer at World’s erases any doubt for me. Not out of the question he could be challenged by Andrew or Adrian in the 21.5- range, though. He doesn’t have to swim it at Nationals to swim it at Pan Pacs, though. He might only do prelims or just not swim it at all or, as you said, just swim both and do just fine. 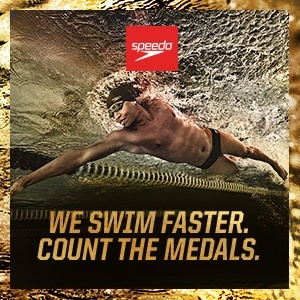 What if he just swims it at prelims of worlds? And he finishes with the second best USA time then he could have the option of competing in the event at worlds? I’m asking for a friend. Think you typed something wrong there, as I’m not sure what you’re asking. 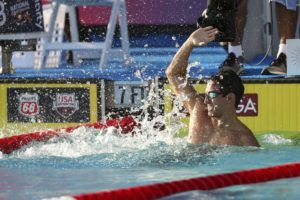 As long as an athlete qualifies for Pan Pacs in one event, they can enter whatever other events they want for the meet. See my reply to Caleb below if you are confused. Is that true? 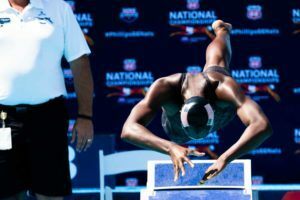 Athletes can add extra events at Pan Pacs that they didn’t swim at Nationals? I think Apple will be faster. He has improved a lot the past 2 years and I think he could challenge top 3. I think Dressel, Adrian, Andrew, Jones for top 4. I think Dressel and Adrian come in around 21.5, Andrew around 21.7 and Jones 21.8 (although Jones has been traveling a lot for swim camps and maybe this could mean he hasn’t been putting in the right training). If Chadwick, Held, or Apple full-taper for trials then they could be a real threat to Jones and Andrew.